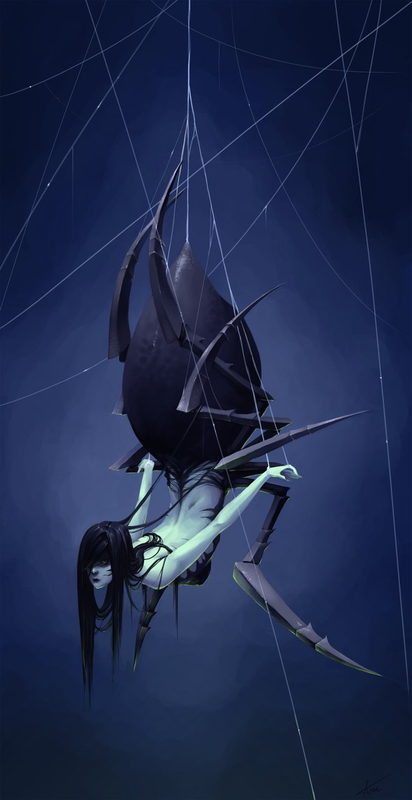 Hi guys, someone asked me about trying to do a Kaliku sculpture (Female Spider Goddess). I'm interested in this type of pose, however, I'm not sure... 1: how to set up an armature that would work, 2: what to use to make it look like it's hanging from it's own thread (after casting it in resin)??? Any help would be much appreciated!! I would do the body, arms and legs separately and glue them together after casting in resin. This way i did an alien spider for an indie film. It worked great. For the thread, i would drill a 1mm diameter hole- maybe 1 inch deep in the back where the thread comes out and glue a thin fishing line with a knot into it.